If you still need to catch up on the last season of It's Always Sunny in Philadelphia before tuning in to Season 9 on FXX, then you're in luck. 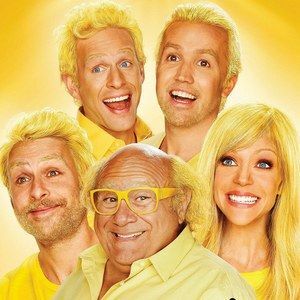 We have a contest lined up where fans can win It's Always Sunny in Philadelphia: The Complete Season Eight on DVD, which includes all 10 episodes and special features that take you deeper inside the show. These prizes will be gone before you know it, so take a look at how you can win today. America's favorite back-stabbing bar owners are at it again in the outrageously over-the-top Season 8 of It's Always Sunny in Philadelphia! Join the gang at Paddy's Pub for more disagreements, divisiveness, debauchery and depravity as Charlie and Dee find love among Philadelphia's high society, and Dennis crashes his ex-wife's wedding. Frank loses his memory - and his mind - in a hopeless search for lost treasure, and insanity ensues when the whole gang winds up in therapy. Featuring an all-star cast and loaded to the hilt with hilariously inappropriate and unrated content, Season Eight rules the world!